The "Never Got Made" File #20 - #23: It's alive, it's alive, it's ali...oh, maybe not! 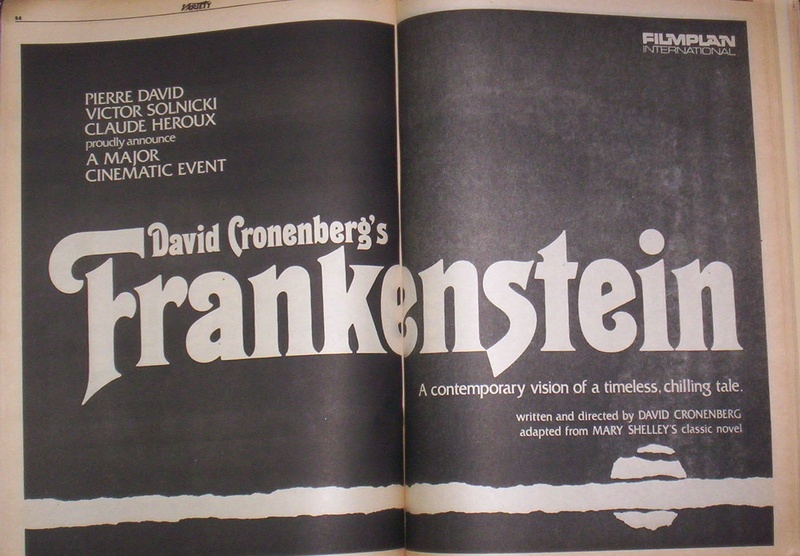 Mary Shelley’s Frankenstein has been an integral part of horror cinema. From the Edison Studio’s 1910 adaptation to Universal’s iconic films, Dr. Victor Frankenstein and his various creations have been featured in over 100 productions in the last century. With Guillermo del Toro announcing his work on a Frankenstein redux, it seems only fitting to check in on the Frankenstein monsters that were never fully brought to life. Question is, will del Toro succeed or end up adding to the list? 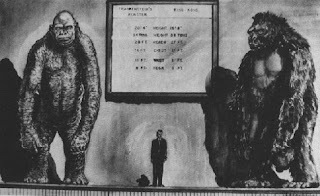 In 1960, stop-motion animator extraordinaire Willis O’Brien came up with the idea for a second sequel to KING KONG (1933) that would feature the giant ape taking on a huge version of Frankenstein’s monster. 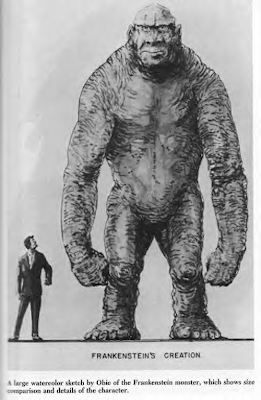 The creature would have been created by Frankenstein’s grandson and the action set in modern day San Francisco. 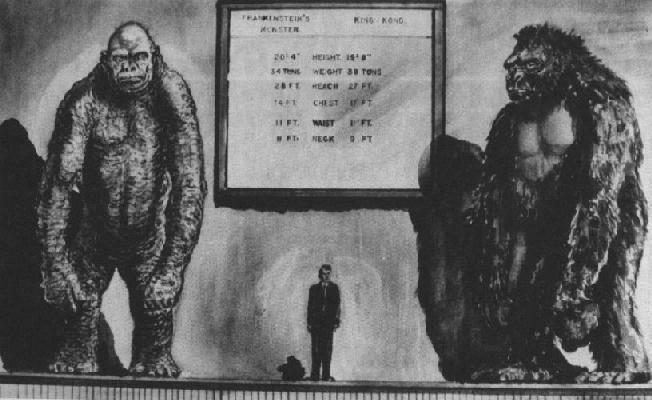 O’Brien even did some preliminary sketches to map out the size of the title beasts (see below). 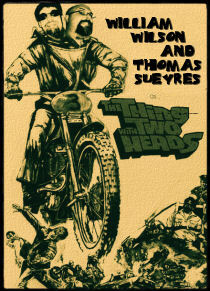 The project was scripted by George (FRANKENSTEIN 1970) Worthing Yates and here is where things get complicated. 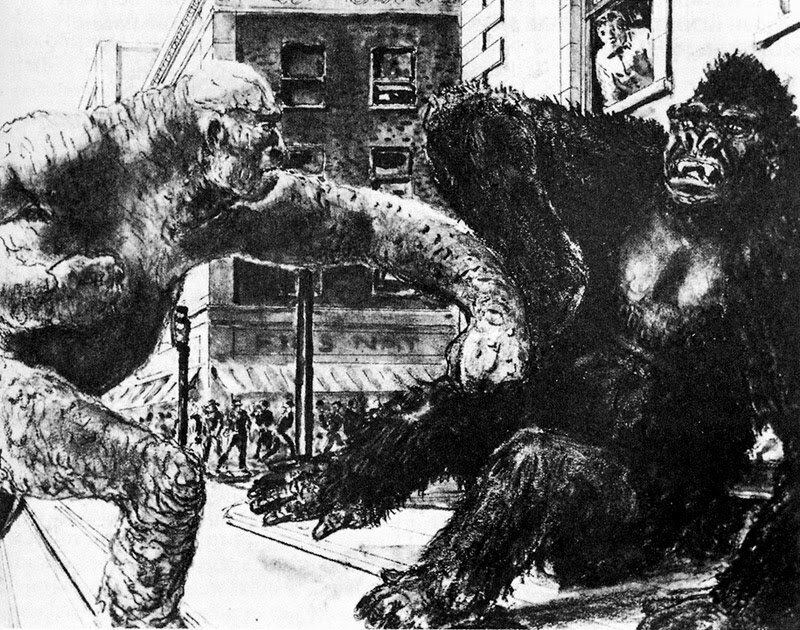 First, the title was changed to KING KONG VS. PROMETHEUS to avoid potential lawsuits with Universal studios. The project was then shopped around and the studio that bought it was Japan’s Toho Film Studios, home of Godzilla. 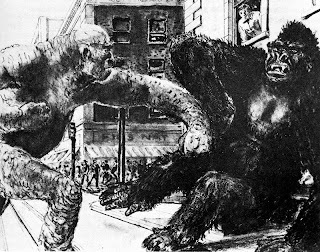 Initially they had plans to change it to GODZILLA VS. FRANKENSTEIN, but the project then morphed into KING KONG VS. GODZILLA (1962). But the Japanese weren’t done yet with the Frankenstein monster as Toho eventually also made FRANKENSTEIN CONQUERS THE WORLD (aka FRANKENSTEIN VS. BARAGON; 1965), which featured a Godzilla-size monster tearing it up. For more on the film's potential plot, check out Toho Kingdom's write-up. Luigi Cozzi, who co-wrote the screenplay with Argento, says: “He wanted to take a very classical approach, but to set the story in pre-Nazi Germany, during the Weimar Republic. The Frankenstein monster would have been kind of a symbol of the birth of Nazism. We had trouble with the Americans there [specifically Universal Pictures] – they said Frankenstein was dead, and anyway, no one who wanted to see a horror movie cared about politics.” Packaged with Timothy Dalton (now James Bond) in the lead, the project was also offered to Hammer with no luck. 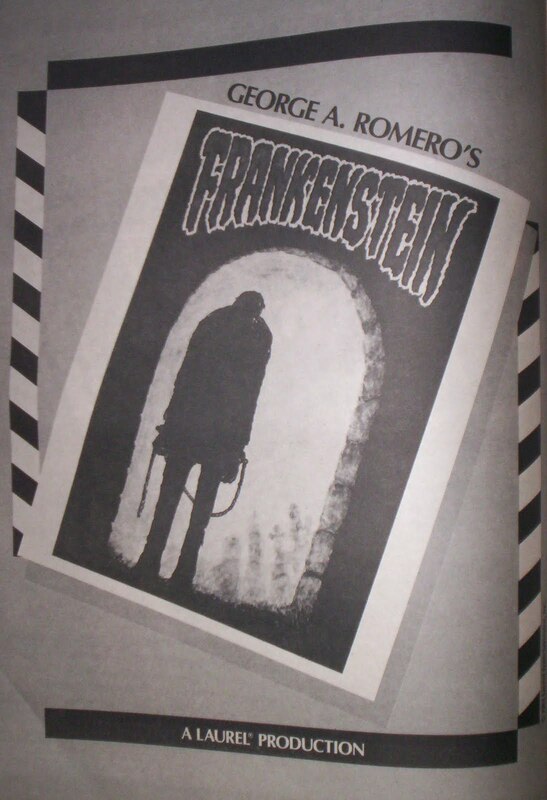 Prime Dario Argento doing Frankenstein with Royal Shakespeare Company era Timothy Dalton as Dr. Frankenstein? Sign me up! 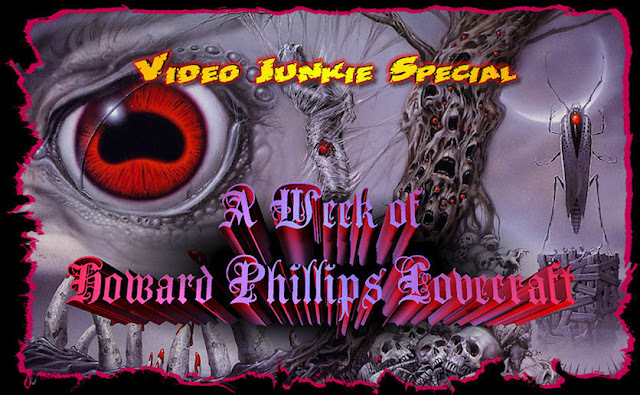 Sadly, it never got made but with Argento remaking DRACULA, who knows what the future holds? 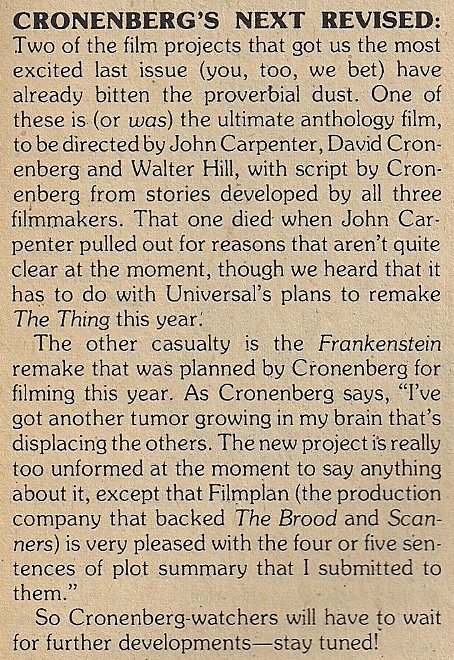 Fresh off the success of SCANNERS (1981), David Cronenberg was announced to be developing his own take on the Frankenstein mythos. According to this interview with Cronenberg at Greencine, there wasn’t really much to it other than the title. Producer Pierre David mentioned the idea to Cronenberg and he said, “Sounds good to me” even though he said he had no interest in making it. David apparently took him at his word and ran ads in Variety announcing the project. 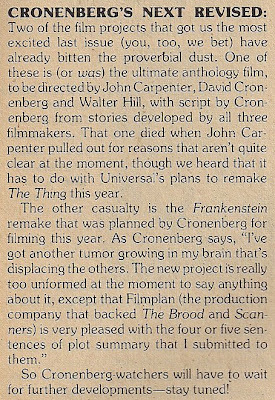 Instead, Cronenberg moved away from David’s Filmplan International and made VIDEODROME (1983) – a film infused with a bit of Frankenstein itself – instead. 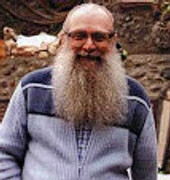 Thank you Dave! Since ol’ George is still churning out flicks, this is still something I’d like to see him tackle. 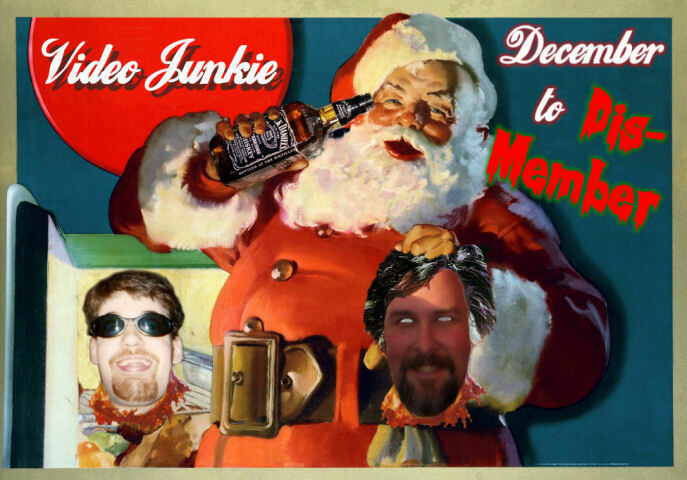 I mean, anything…ANYTHING to get him to stop making those damn zombie flicks.